Good connectivity reduces the cost of doing business and increases the competitive strengths of trading partners. 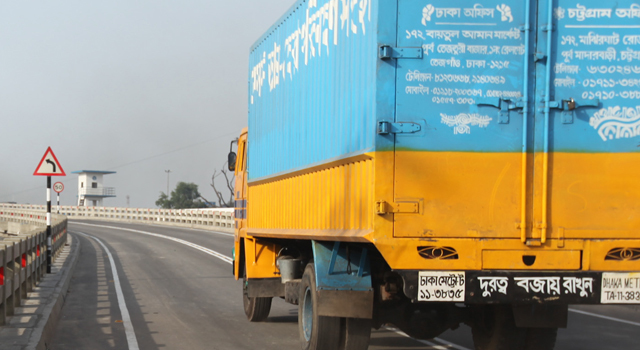 In this commentary, Dr. Mustafizur Rahman, Executive Director, Centre for Policy Dialogue, highlights how a sanitary and phytosanitary agreement and an effective Bangladesh-Bhutan-India-Nepal Motor Vehicle Agreement would promote South Asian integration and step up Asia-wide cooperation. This item was first published in The Daily Star. It is being increasingly recognised that in order to deepen regional integration and raise competitive strength of producers and enterprises in a fast globalising context, trade facilitation (TF) related issues ought to receive priority attention on the part of both policymakers and development practitioners. In the face of the secular decline in tariffs across the board, be it on an autonomous basis or in view of obligations under regional and multilateral trade agreements (RTAs) and multilateral commitments particularly in the World Trade Organization (WTO), trade facilitation measures have emerged as the next frontier which developing countries such as Bangladesh will need to tackle. As may be recalled, the TF Agreement of the WTO, one of the key outcomes of the tenth WTO Ministerial Conference (MC-10), obligates member countries to undertake a number of specific actions towards more effective TF measures. The WTO-TF Agreement underpins the need for taking appropriate measures on the part of South Asian countries, on an urgent basis. Several studies have indicated the high importance of trade and transport facilitation to realise the potential gains from preferential market access which countries such as Bangladesh enjoy as least developed countries (LDCs). 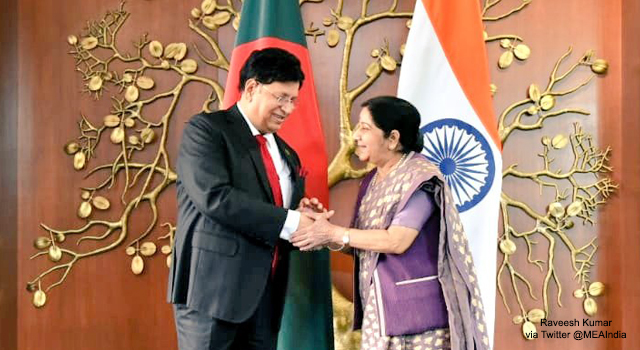 There is a consensus that accelerated enhancement of bilateral trade between India and Bangladesh, and in the South Asian region, is contingent upon undertaking appropriate trade facilitation measures and establishing effective regional connectivity. One study finds that a 10 percent reduction in trade related documentation will lead to 7 percent increase in bilateral trade between Bangladesh and India. Studies also indicate that trade facilitation will have the strongest positive impact, particularly on Bangladesh's trade: a one percent improvement in trade facilitation would result in an almost 4 percent increase of Bangladesh's export. Several studies by ADB, World Bank and other multilateral institutions have emphasised the need for a comprehensive action plan on the part of Bangladesh to coordinate and promote trade facilitation measures. However, significant investment will be required in improving the related infrastructure and implementing the Multi-modal Transport Policy. As is well-known, non-tariff related issues particularly relating to Sanitary and Phytosanitary Measures (SPSM) continue to remain major concerns in South Asia, especially in case of Bangladesh-India trade. Major non-tariff related bottlenecks may be categorised in following groups: (a) infrastructure related bottlenecks; (b) inadequate customs and port facilitates; (c) cumbersome export procedures and documentation; and (d) non-tariff measures (NTMs) related to testing requirements, registration or licensing, certification, packaging and labelling. As will be appreciated, a wide range of activities, stakeholders and regulatory issues and standard operating protocols are involved in promoting the cause of trade facilitation in these areas. Whilst the sunk and operating costs to be incurred on account of trade facilitation measures are rather significant, the long-term gains from these are expected to far outweigh the costs involved. Past initiatives in Bangladesh concerning trade facilitation measures such as withdrawal of licensing system and passbook entry, implementation of ASYCUDA++ (Automated System for Customs Data) amendments in the customs act, initiation of the pre-shipment inspection (PSI), reduction of number of documents, etc. for clearance of export-import consignment have resulted in significant gains for the country in terms of speedy clearance and consequent export competitiveness. However, the list of the unfinished agendas continues to remain long and daunting. Bangladesh's exporters continue to incur higher costs compared to her competitors originating from higher transport costs, higher lead time, delays owing to lengthy clearance processes and various non-tariff barriers. 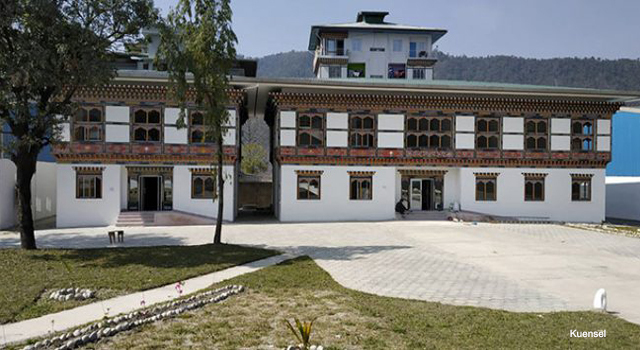 It is well-appreciated that seamless connectivity could help countries such as Bangladesh, Bhutan and Nepal to reduce the costs and the time of transportation, and thereby enable these countries to benefit from smooth movement of vehicles for transport of goods. Elimination of transshipment at border crossing points will reduce the time required for trade transactions and will significantly improve trade efficiency. The following sections address two key emergent areas in view of the above: (a) how to address the sanitary and phytosanitary (SPS)-related issues through an SPS Agreement and (b) how best to address the connectivity issues through operationalisation of the recently signed Bangladesh-Bhutan-India-Nepal Motor Vehicle Agreement (BBIN-MVA). The discussion in the following sections draws significantly from a recently published work edited by the author and published by the CPD titled Towards Regional Integration in South Asia: Promoting Trade Facilitation and Connectivity. The best way to move forward in addressing SPS-related problems appears to be to have an SPS Agreement in place. To start with, a framework for the proposed SPS Agreement will need to be designed. The rules and disciplines articulated in the Agreement will define how the related issues are to be dealt with, and how these are to be implemented and enforced. The Framework will provide guidelines as regards interpretation of the various standards, technical regulations and conformity assessment procedures pursued by involved parties. Furthermore, the Agreement will provide guidelines as regards implementation of the SPS Agreement, applicable international standards and recommendations developed by the WTO and other SPS-related relevant international organisations, including the International Organization for Standardization (ISO), Codex Alimentarius Commission and others. Such an Agreement will improve communication and consultation on SPS issues among key stakeholders and relevant institutions. The proposed Agreement will also provide a list of competent authorities from the concerned countries and set up principles, criteria and guidelines for establishing and managing timelines for resolving SPS-related disputes. If a dispute arises in interpreting or implementing the SPS Agreement, the involved parties will resolve the dispute through negotiations and consultations. Disputes that cannot be solved by consultation should be forwarded to an SPS Committee mandated to address the attendant concerns. As regards transparency, each country will have to notify the other participating counties about adoption, changes and amendment of SPS measures which have significant effect on the trade between the countries. Countries should notify one another about the reasons for rejecting a commodity on grounds of SPS non-compliance and provide scientific proof as per international regulations. As regards Bangladesh-India bilateral trade, there does exist a Memorandum of Understanding (MoU) between Bangladesh Standards and Testing Institution (BSTI) in Bangladesh and Bureau of Indian Standards (BIS) in India which aims to strengthen standardisation, certification, measurement and testing activities and talks of facilitating sharing of expertise. The areas of cooperation in the MoU also include provisions for technical information and training, dispute settlement and financing. However, the MoU will need to be followed up with further and additional initiatives within the ambit of the proposed SPS Agreement. Cooperation for food testing and certification has also been mentioned in the aforesaid MoU; however, at present there is no mechanism for cooperation towards mutual acceptance of results from respective standard setting institutions. A comprehensive SPS Agreement can play an enabling role in addressing many of the current concerns. However, capacity of the BSTI will need to be significantly enhanced if the proposed SPS Agreement is to be properly implemented. The current work at the South Asian Regional Standards Organization (SARSO) headquartered in Dhaka will be highly relevant in this context. SARSO is developing regional harmonised SPS standards which then could become integral part of the proposed (bilateral/regional) SPS Agreement. Experience and evidence suggest that transport logistics are key to promote trade and investment, and developing value and supply chains particularly among neighbouring countries belonging to a region or a sub-region. Good connectivity reduces cost of doing business and raises competitive strengths of trading partners, enabling them to operate on the basis of comparative and revealed comparative advantages. In view of this, in many regions, countries with common borders have signed cross border transport agreements (CBTAs) to facilitate movement of vehicles across borders. This type of Agreement is also seen as critical in terms of strengthening regional cooperation and integration. However, despite the existence of basic infrastructure, albeit not to the extent that is required, surface transport network in South Asia continues to be highly fragmented. For reasons of lack of integration of the transport system and absence of seamless connectivity, logistics costs incurred in conducting intra-regional trade in South Asia tend to remain significantly high. This in turn undermines competitive strength of traders interested to carry out export-import business with neighbouring countries in South Asia. This also discourages intra-regional investment in spite of the fact that potential opportunities of cross-border investment in South Asia are significant. 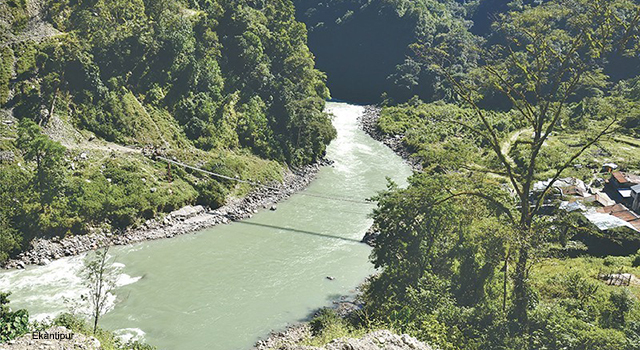 Lack of seamless connectivity also undermines the possibilities of reaping the benefits of some of the positive initiatives that have already been undertaken to deepen intra-regional cooperation in South Asia. Some of these initiatives include: duty-free quota-free (DF-QF) offer of India to all LDCs of the South Asian Association for Regional Cooperation (SAARC), trade and transit cooperation agreements between Bangladesh and India, Bangladesh's offer to allow use of Mongla and Chittagong ports by India, Nepal and Bhutan, allowing Nepal and Bhutan to use Indian territory for trade with Bangladesh and third countries, proposed special economic zones (SEZs) for India in Mongla (Khulna) and Bheramara (Kushtia), and Coastal Shipping Agreement, to mention only a few. It is from this perspective that the sub-regional motor vehicle framework Agreement signed in June 2015 by Transport Ministers of four SAARC member countries, i.e. 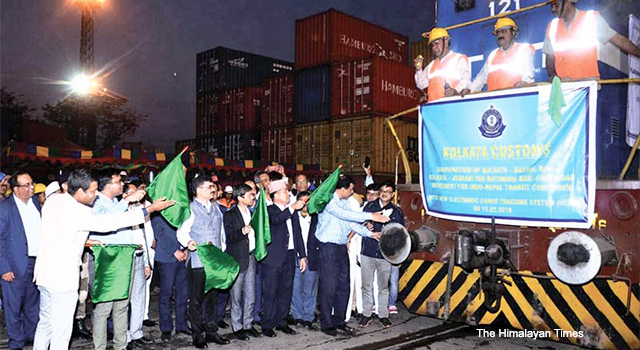 Bangladesh, Bhutan, India and Nepal (BBIN), is of such critical importance for deepening not only transport, but also trade, investment and people-to-people connectivities within the BBIN sub-region of the SAARC region. In view of the aforesaid recent developments of high significance, issues related to operationalising the BBIN-MVA have now assumed heightened practical significance and importance. A model MVA appropriate for South Asia will have to include appropriate protocols along with detailed annexes to elaborate the protocols, and should be in line with international best practices. Such practices show that a comprehensive MVA has the following elements: Principles that would govern the Agreement; Ways of operationalising the Agreement; Documentation and Procedures; Border crossing formalities; Registration of vehicles; Container customs regime; Taxes, fees and other charges; Institutional arrangements; Technical matters; Infringements; Application of laws and regulations; and Provisions for amendments to the Agreement, amongst others. The BBIN-MVA includes many of these elements, but specifics will need to be identified and agreed upon in order to operationalise the Agreement. A key factor will be to mobilise the needed financial resources. This is particularly crucial since operationalising the MVA will entail significant investment in developing the needed road infrastructure. 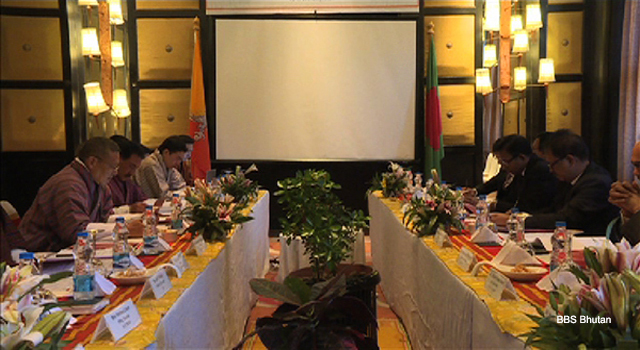 For example, the BBIN Ministerial meeting has come up with the estimates of an investment requirement of USD 8 billion for development of the identified 30 priority projects within the BBIN areas, of which seven are in Bangladesh. 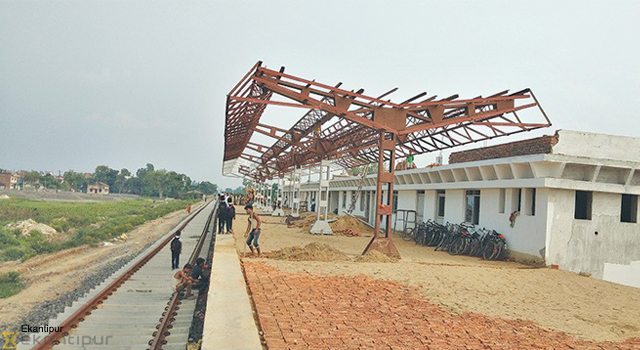 The Indian line of credit (LoC), first and second, should be aligned with the emerging needs of connectivity including development of transport networks and building the needed infrastructure at the Ashuganj International River Port (AIRP). As may be recalled, as of now only three consignments have made use of this route with high potentials because of the lack of the needed infrastructure. Bangladesh has been able to collect revenue and user fees of only eight lakh taka by providing the services. Needless to say, the potentials continue to remain underachieved. Other possible sources of financing, including from the Asian Infrastructure Investment Bank (AIIB), will need to be explored as well. For Bangladesh, it will be important to ensure coordination among Ministries, alignment with connectivity strategies and allocations envisaged in the Five Year Plans and the Annual Development Programme. 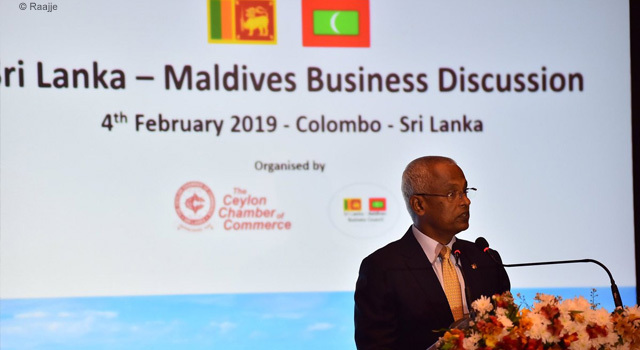 Formulation of a 'Comprehensive Regional Connectivity and Investment Plan' is called for. A key task will be to ensure security of persons, vehicles and cargo during in-country movement and border crossing. Incident management system and road information system may be introduced to ensure security through installation of tracking equipment and vehicle and driver detection system, as also for safeguarding against violation of law and addressing and mitigating consequences of accidents and vehicular malfunctioning. Containerised vehicular movement, under seal, will need to be promoted and security check posts with adequate human resources will need to be deployed at border crossing points. It will be important for the BBIN-MVA members to carefully assess the issue of inclusion of new members which has been provisioned in the Agreement. An appropriate dispute settlement mechanism will also need to be set up, with a clear and transparent terms of reference and mandate. Deepening of economic cooperation, at bilateral, sub-regional and regional levels, offers potentially significant gains to countries of South Asia. Integration at these levels will also help strengthened global integration of South Asian countries. At present a number of other initiatives have also been set in motion including the one belt, one road (OBOR) proposal and the Bangladesh-China-India-Myanmar Economic Corridor (BCIM-EC). Together, all these initiatives could lead to a closer and deeper South Asian integration from which South Asian countries could reap important gains. SPS Agreement and an effective BBIN-MVA could be important building blocs in the envisaged greater scheme of things and in the context of the broader and wider Asia-wide vision of cooperation. South Asian countries should take advantage of, and seize, this opportunity. But this is a time-bound window of opportunity. Hence the urgency of taking the needed measures.